3 bedroom, 2 bathroom villa in the Sunridge Woods community. Owned by Ian & Janet Bundle. Ref: 2202. Wi-fi internet access and free landline telephone calls to the UK, most parts of the EU and within the USA. Our home, The Herons Villa is a secluded three bedroom villa on a small private estate, yet easily accessible to the theme parks, including the Wizarding World of Harry Potter, shops, restaurants and numerous golf courses. Less than 15 minutes to the gates of Walt Disney World. We have a large 30x15 south facing, solar heated, and not overlooked screened pool that has a spacious patio area and a large secluded yard. Air conditioned throughout, there are four cable televisions and an xBox games machine. Hello, we are Ian and Janet, we first visited Florida with our son in May/June 1993. Our son was coming up for 7 and we thought this the ideal age to visit the theme parks. 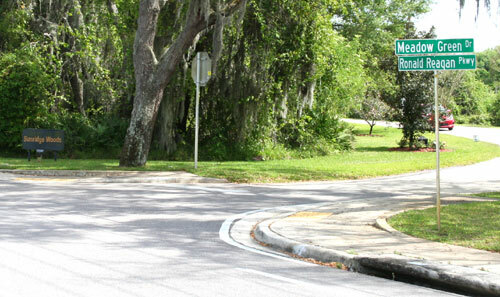 We trawled through the tour brochures and picked a hotel for 2 weeks followed by a week just outside Tampa in a villa. The difference between the 2 was huge so when we visited again a couple of years later we booked a villa and never looked back. We have since visited many more times, both with our family and without and have always stayed in a villa. In Spring 2005 we eventually bit the bullet and purchased our own 3 bedroom home on Sunridge Woods. We purchased this particular home after viewing probably about 100+ homes because of the size of the swimming pool, it is larger than a lot of pools being 30 foot long, and because of its very quiet position. We love to visit Florida as often as possible, often taking family and friends with us. 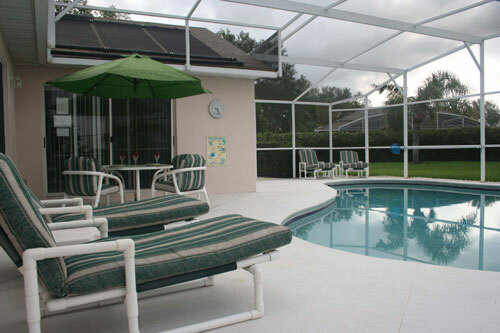 We enjoy having guests stay in our home so that they too can enjoy the wonderful variety of attractions and natural beauty that Florida has to offer. Our spacious three bedroom two bathroom home is located on a private estate less than a 15 minutes drive from the gates of Mickey Mouse and his pals. Champions Gate, which is a developing shopping, eating and golfing community is only five minutes away with the nearest supermarket just a 2/3 minute drive. 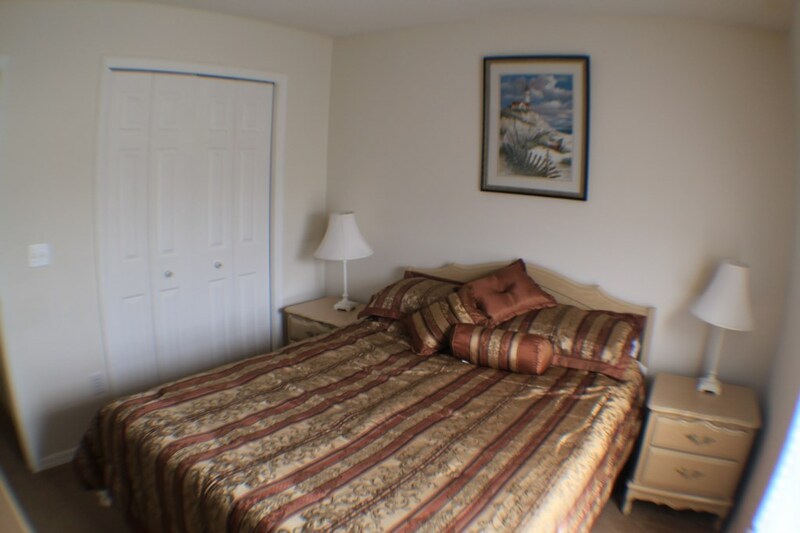 The master bedroom has a king size bed and large walk in closet, dressing table and bedside cabinets. There is a 32" multi channel cable televisionand DVD player in the room. The oversize pool is solar heated, heating for which is complimentary,and is surrounded by a large patio with enough poolside furniture for all guests to relax. The pool is not overlooked by neighbours on either side. 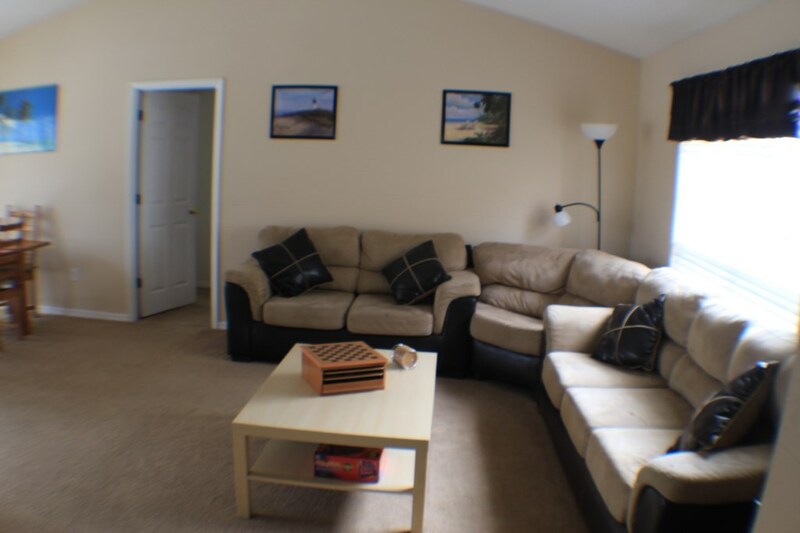 Our family room has a 42" LCD cable television and an X-Box/DVD player, and a separate living room for those that just want to enjoy some peace and quiet. A football table, air hockey and electronic darts are also available for your enjoyment, as is wi-fi internet access. 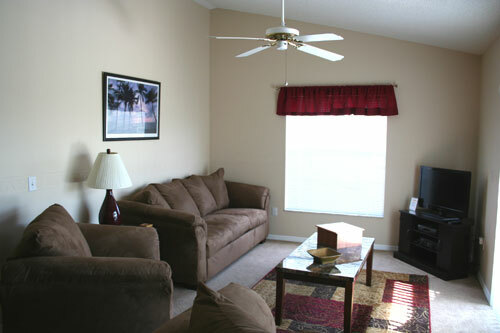 Our home, The Herons, is air conditioned throughout with additional ceiling fans in all bedrooms and family room. It is set well back from the roadside on a large corner plot with a long driveway shaded by oak trees. It is not overlooked by either villa on each side. Our whole home has very recently been redecorated. 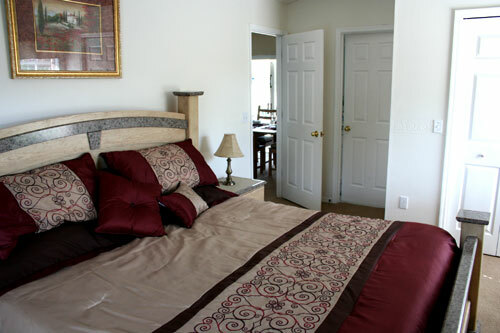 The Master Suite has a king sized bed and there is a cable television and DVD player in the room. There is a large walk-in closet providing ample space for all your holiday clothing etc and the large en-suite shower room leads through to one of the exits to the poolside. The door is alarmed for the safety of young guests. 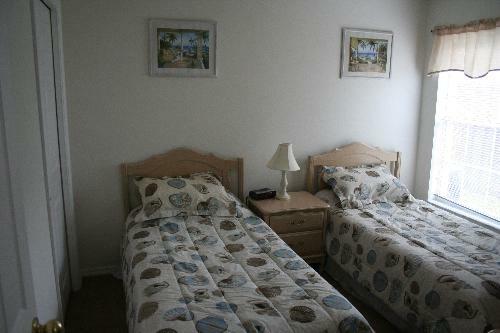 The Second Bedroom has a queen size (5ft) bed, built in closet, dressing table and bedside cabinets. It also has a 32" multi-channel cable television. The Third Bedroom has twin beds provided, again with a built in closet providing ample space for hanging your clothes, dressing table and bedside cabinet. 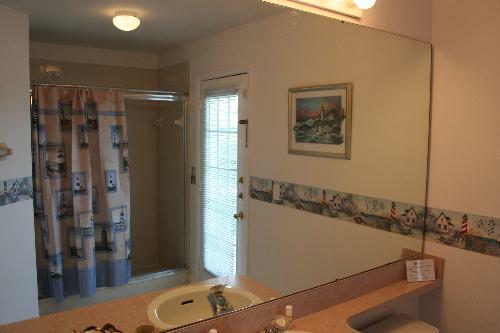 The second bathroom, situated between the second and third bedrooms, is of a good size with a full sized bath with shower over, basin and WC. Hairdryers are supplied in each of the bathrooms for your use. Radio/alarm clocks are provided in all the bedrooms to ensure that you are up in plenty of time to enjoy your holiday of a lifetime to the full! The intimate, but bright, family room, overlooking the lawned area and pool area at the rear of the property, has a 42" LCD multi-channel cable television which is also connected to an X-Box games console, this can double up as a DVD player. There are games provided, as well as a selection of DVDs for both the young and old. Alarmed patio doors lead to the pool area. There is a further bright and airy living area to the front of the property, overlooking the pleasant front garden.This room is where the ipod dock is placed. 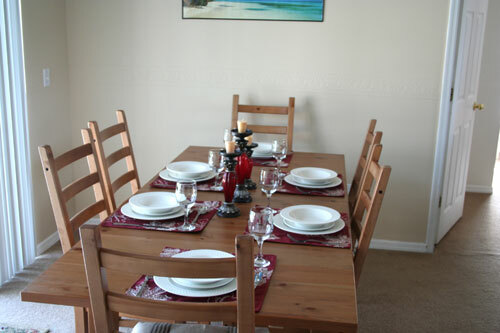 As well as the formal dining area, which also has access to the pool area, there is a separate dining area attached to the kitchen for more informal meals. The kitchen is fully equipped with all the appliances you would expect, including cooker, dishwasher and large fridge/freezer with ice-making facilities. A number of the smaller appliances having recently been replaced and upgraded. Laundry facilities, including a large washing machine and separate tumble dryer, iron and ironing board are in a cupboard close to the kitchen area. There are 2 airers at our home for those that prefer their washing to dry in the fresh Floridian air. All bed linens and towels for both indoor use and pool use are provided for you to use at no extra charge. There are a number of games and DVDs for the X-Box console as well as a number of board games and a supply of reading books for your use when staying at our home as our guests as well as a football table, air hockey and electronic darts. 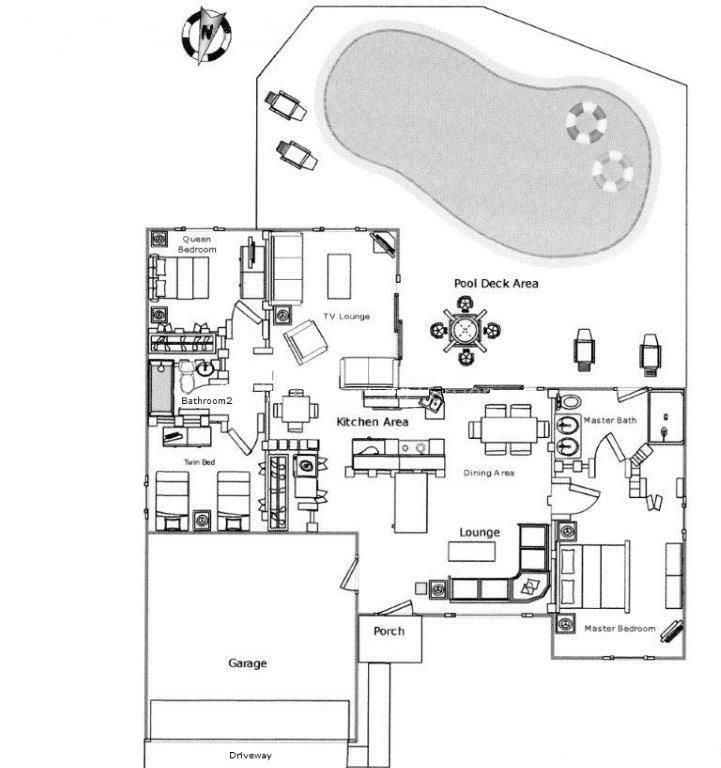 Access to the large solar heated pool is via the family room, formal dining area and the Master Suite. All doors to the pool area are fitted with security alarms for the safety of young children so that they cannot enter the area without you knowing that they have done so. The large screened pool area is equipped with plenty of poolside furniture to allow you to dine outside and relax by the pool. The yard is large and secure enough for the children to play ball games in. There is also an electric barbecue for our guests to use, all we ask is that it is cleaned after each use and returned to the garage at the end of your stay. The Herons is ideally situated so that you can explore all of Florida easily and a comfortable home from home, but don't take our word for it, see what our previous guests have said below or by using the comments tag above. We had such a lovely time, very busy but altogether a great family time together. Your home was a great 'bolt hole' at the end of each day. We were so comfortable there and had everything we needed. We had an absolutely fantastic time, your home was everything we could have hoped for! We explored every park and were exhausted after 10 days!! We allow flexible changeover days with arrival after 4pm and departure by 11am. During Easter and Christmas, the minimum rental is 2 weeks. Our full Terms and Conditions and Booking Form can be found on our website, details will be given to you once we have confirmed availabilty. Average rating: 5.0 / 5 from 21 reviews. "We had an absolutely wonderful holiday at The Herons. The villa was clean and had everything you could ask for, a real home from home with a great pool that the family all loved to get in. 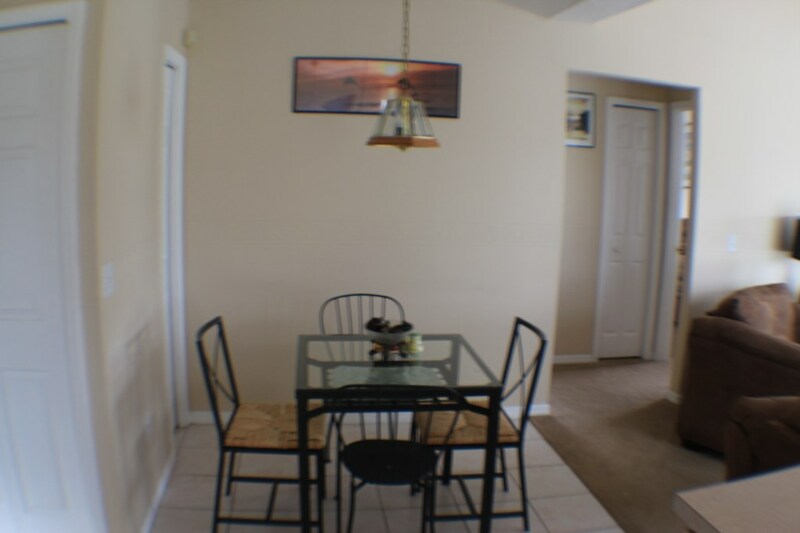 Its located in a quiet residential area, and is a great place to come back to after a busy day at the parks, but with all the amenities you could wish for only a few minutes away. 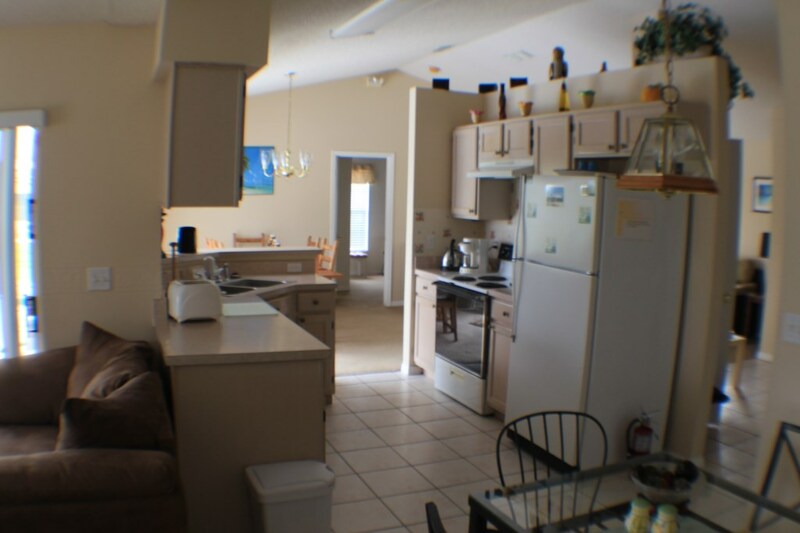 We would definitely recommend this villa as ideally situated for Disney and other attractions, and would rebook. Janet & Ian are fantastic people to deal with, very prompt service and knowledgeable about the Orlando area. Thanks once again for making our 1st family Florida trip a memory to treasure." Owner's response: Thank you Simon for your very kind words, so pleased to have helped you make wonderful memories. Just to say we love the villa. It's absolutely perfect for us. Our girls love the pool, to the point we've actually left the parks early afternoon (it's also very very hot!! ), because they want to get in the pool. We are loving the family of Herons we see daily and now used to having geckos running around inside and out however the new request for a pet is a gecko..... not happening!!! Owner's response: Spoilsport!! So glad you had fun. We are all back home and have recovered from a very enjoyable holiday. 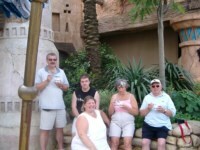 Thanks for the lovely holiday and if we head over to Orlando again we will be sure to contact you. Had a great six weeks at your home. Thoroughly enjoyed sitting in the peace and quiet by the pool in the evenings and watching the wildlife during the day. Hope to be able to book again next year. We really enjoyed our holiday, always sad when it's time to come home. The villa was fantastic everything we expected - we even encountered an unexpected guest of a beautiful tortoise. Thank you for letting us enjoy your villa. Thank you so much for a wonderful place to stay. We were able to enjoy family time with 4 generations together in a beautiful place. We hope we can return in the future for another vacation. Owner's response: Wow, 4 generations, that is something. Glad you enjoyed your stay. It seems like a while ago since we were at your home enjoying the sun and the heat and hospitality of your villa. I cannot thank you enough for the Christmas decorations and tree that was put up before we arrived. We had a marvellous time in the Villa and it truly was a home from home. 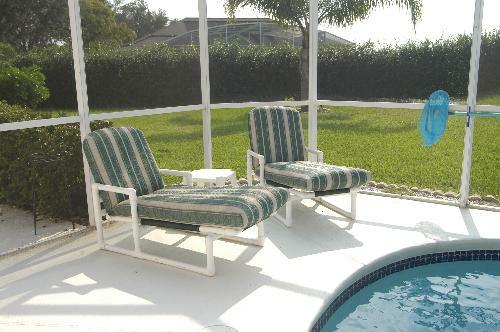 I will have no issues what so ever in recommending your villa to others who I know are looking for a Florida vacation. It was so easy dealing with yourselves and the service was superb. We only managed a few days at this beautiful home as we were waiting to go on a cruise, but Janet & Ians home is beautiful and we will be staying there a lot longer when we return to Florida in 2018. It is very easy to find, as they say, easily accessible to wherever you wish to go, and so much bigger than the photos suggest. We loved the 'bits and pieces' very carefully positioned around and named the pelican Pedro! 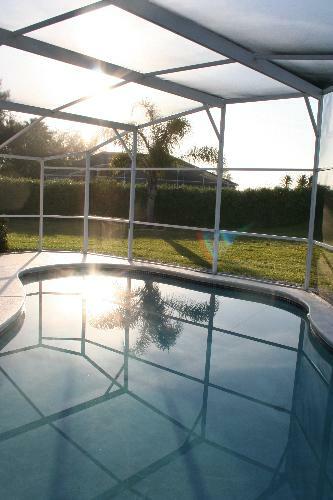 The villa is beautiful and so close to those essential amenities. We have stayed in villas before that said they were south facing, but they can't have been as it was 92 degrees in the pool yesterday! We had a really lovely time at your villa the boys loved it and we had loads of space, it was great being able to open the doors and get in the pool! Although we didn't use it as much as we'd hoped as we spent a lot of the time in the disney parks. Will be back in touch next year to stay again. This is the third time we have stayed at The Herons, and even Hurricane Matthew could not spoil our holiday this time. The Herons Villa is situated in an ideal position to get around easily but once 'home' it is absolutely tranquil, it is so pretty, an ideal home to stay in, even the homes that have been built behind do not interfere with the privacy, peace and tranquillity of staying here, we cannot ever envisage staying anywhere else. Owner's response: Thank you for your very kind remarks. We are so glad that Matthew did not put you off, we were glad that we could help when your flight home was delayed. I just wanted to let you know we had a fantastic time in Florida and your home was the perfect base. The photos do not do it justice and it far exceeded our expectations. There is everything you need and more. Everything worked perfectly. Will definitely be in touch next time we go to see if it's available. Owner's response: Great, so glad you had a good time, not sure what to do about the photos! will put our thinking caps on :) Hope to hear from you when arranging your next trip. Owner's response: So pleased you enjoyed your stay again and glad you like the planting, we are more than happy with the way it is growing and keeping our guests privacy. We booked your home as it looked rather nice, but when we arrived we were absolutely amazed, your home is so much bigger than it looks in your photos, they really do not do it justice, we have changed our mind from your home being rather nice, to it is fabulous and the pool is huge. Thank you so much for allowing us to to experience a wonderful home that we hope to return to. Thank you so much for renting your house to us. We felt incredibly comfortable and at home there from the first day. We were conscious that it was your home but that did not prevent it from being very relaxing but rather made it feel homely. The villa had everything we could have asked for. We actually spent relatively little time there but it was a fantastic base to have. The children loved the pool and being able to go in on the odd day we returned early or had a morning there. The location was perfect; near enough to the parks and far enough away to get away from the parks and the attractions when we felt a bit parked out! Before we arrived we heard horror stories of it taking an hour to get from Davenport to the parks! Goodness knows what route they were taking as we comfortably did it in more like 20 minutes. 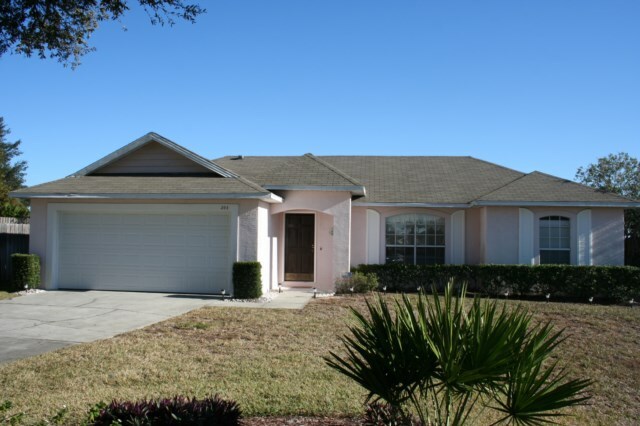 Were we in a position to return to Orlando we would definitely want to stay at the villa again and would recommend it to friends. Owner's response: Thank you for this CL, we are so glad you enjoyed your stay and hope to welcome you back again at some time. We all just wanted you to know how sorry we are at having to come home. We have just spent 3 weeks in the most amazing home we could wish for, we wanted for absolutely nothing and the pool is wonderful, it is just so big. Your home is also in a very quiet area, it was great for when we just needed to unwind after a very long day at the parks. Your home is so conveniently situated to get to any part of Florida very easily, we went up north to St Augustine's and had a wonderful day there seeing the old fort and touring the Old Town. We will definitely be back, it may be a year or two but we will be back and will contact you when we are ready. Owner's response: So glad you enjoyed your stay, please do come back, and agree about St Augustine, it is a lovely place. We had a lovely time again thank you the villa was lovely as always, especially the pool!! We were amazed at how quiet it is it made it very relaxing on the days we had a rest from the parks. We will definitely keep you in mind for future trips! just to say thank you: we had a lovely time at your property - it was really comfortable and well equipped - and especially relaxing to get back to the pool and cool off after a gruelling day at the theme parks! Eventually arrived home suitably tired after our holiday. Your home was like home from home, and the boys loved the pool. Was really intense, but as you said water and sunscreen so no problems. Owner's response: Yes, July and August are very humid and hot but glad you survived :) Please feel free to contact us if you are visiting Florida in the future. We arrived today at the Herons Villa, and we already went swimming, the weather is lovely and so is your home. We collected the tickets for Disney world, lego, sea world, etc... today at Celebration! Thanks again for the tip! The cot bed is big enough for Evie, it's great! 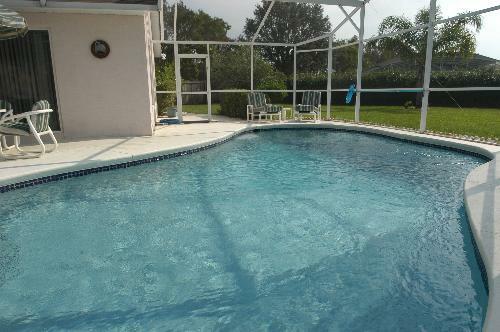 Owner's response: Glad you found the ticket link useful and enjoyed your stay, please feel free to contact us should you be visiting Florida again. This was our fourth time of staying at your home and we are really impressed that each time you have made changes with the furniture and fixings, this means that each time we arrive we feel as though we are in a new home. The only thing that doesn't change is the size of the pool and outside area, both are pretty big and the kids love the pool no matter what time of the year we have visited. We will be in touch next year to arrange our 5th stay. Owner's response: Hi ME, think you were getting carried away with the date on this one, you stayed in December 15, does this mean you want to stay again this Christmas I wonder!! So glad you are such a regular visitor, it is lovely getting to know our guests like this. Your enquiry will be sent to villa ref 2202 only. This page has been viewed 70434 times since 18 Jun 2005.